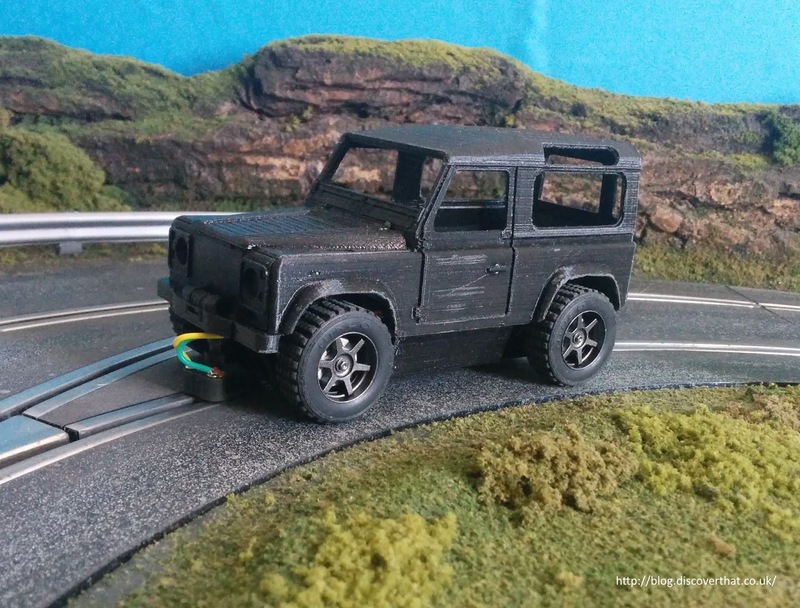 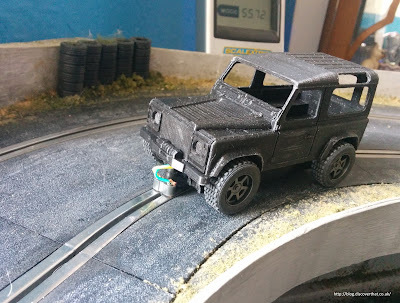 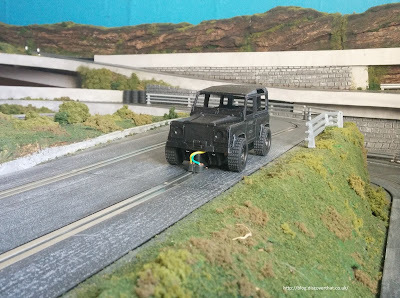 I have assembled the model I am making of a Defender 90 and run it round the track to check clearances and the fit. It is still in the raw, off the 3D printer, state and there is a lot of cleaning up and painting to do before it is finished. It ran surprisingly well, as you can see in the video. 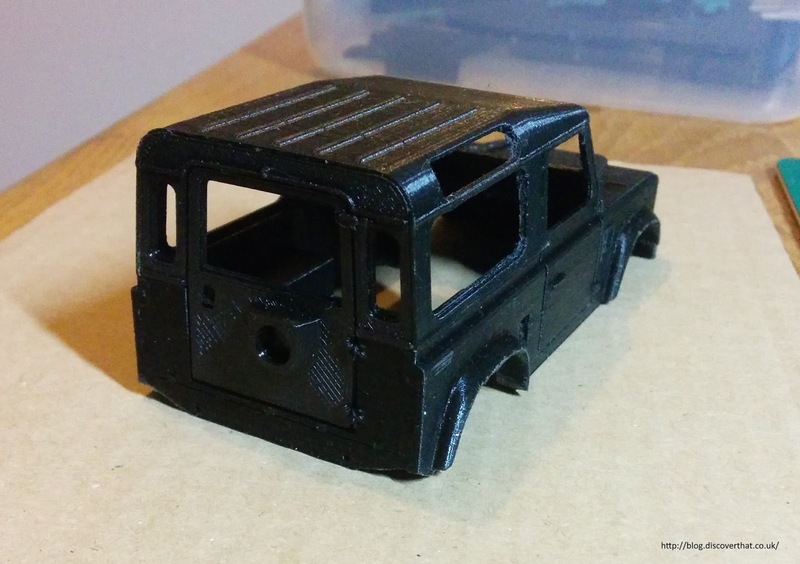 The roof, rear door bonnet and grill are separate parts superglued to the main body. 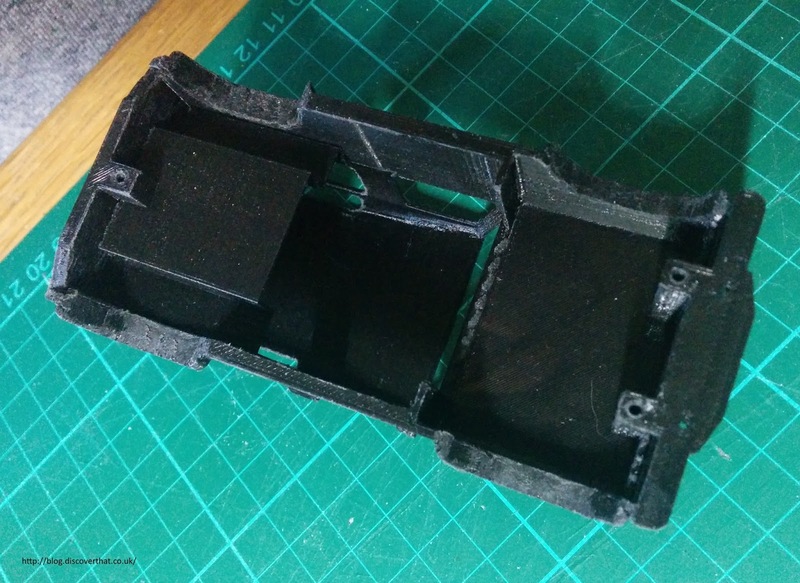 The chassis is attached with three screws and can be seen separately in an earlier post. 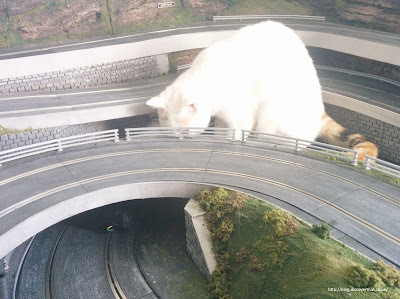 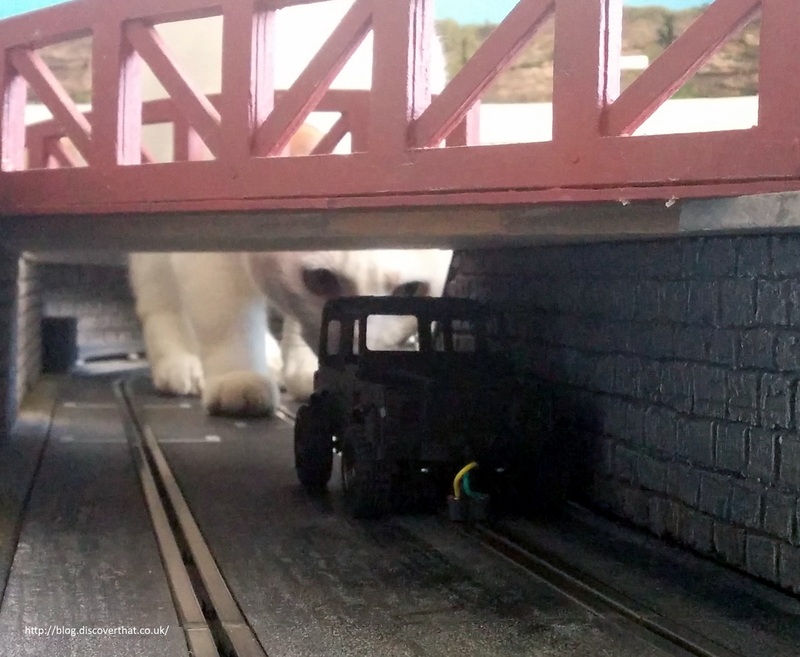 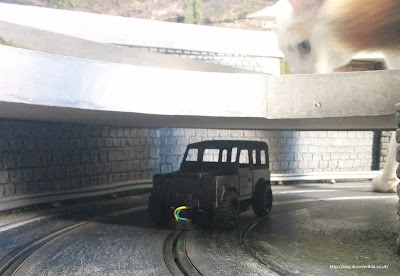 Tiger is not entirely sure about slot cars. With the cat on the track it looks like a screen out of the Goodies! :-) I know, I think she is the right scale for the Goodies cat. 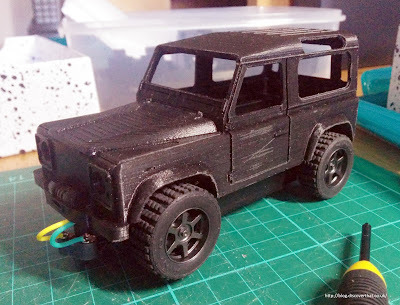 I've started to remove the roof ribs to match your roof. Sanding is quicker than re-printing in this case but I have also updated the model file so I can re-print in the future.